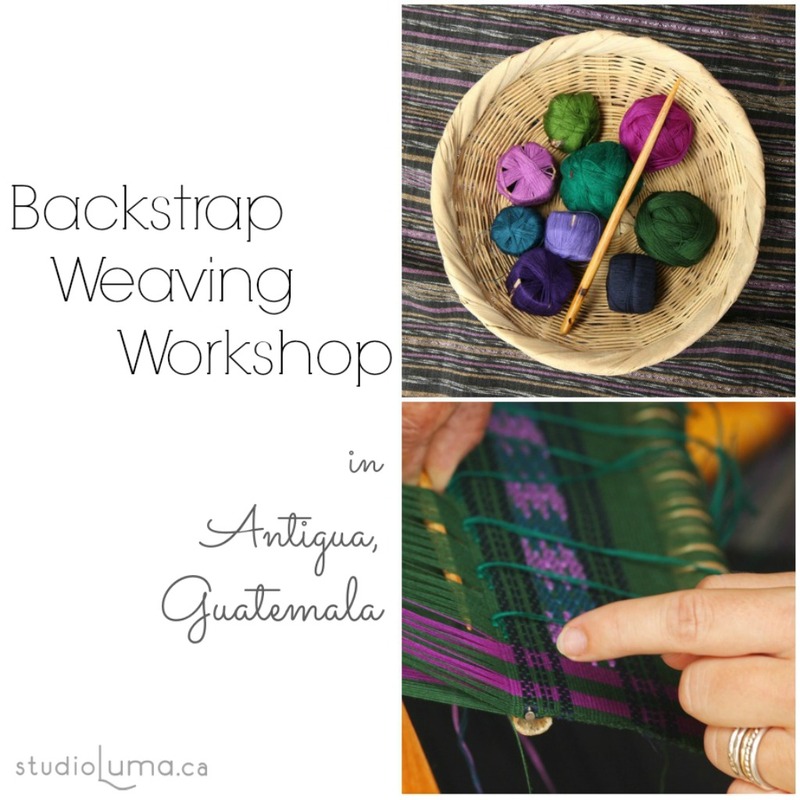 Months ago, I started planning a weaving workshop in Antigua. 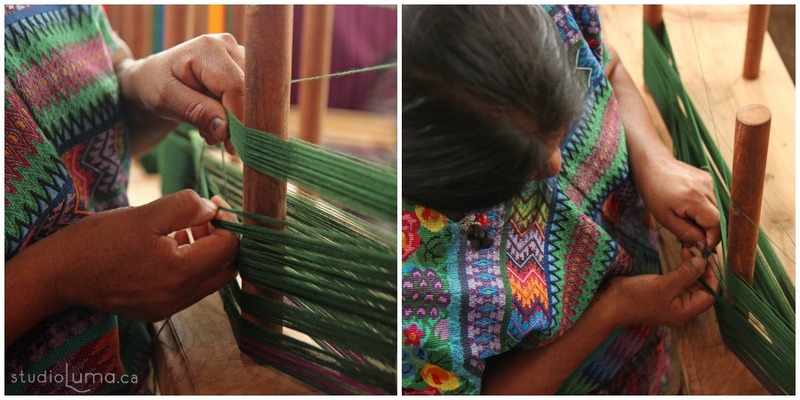 A quick Google search landed me at Art Workshops in Guatemala and after some emails back and forth, I had a weaving workshop booked! Lumita decided that she really wanted to join me so we made it a date! 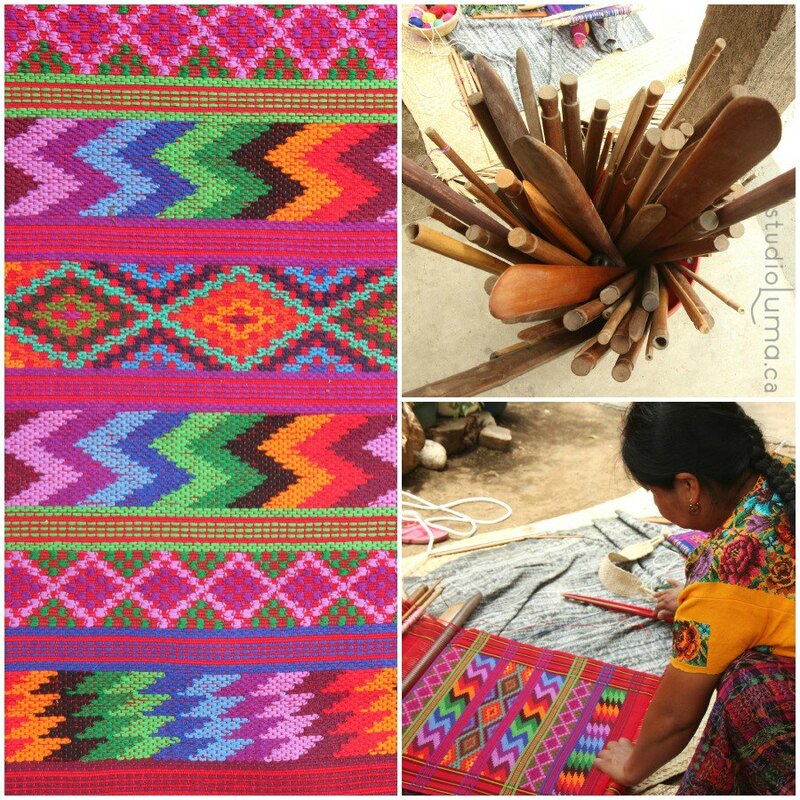 I dabbled with weaving while in university and really loved it! (while my classmates were likely dabbling in very different things, I was busy taking extra-curricular quilting and weaving classes! I’ve always said that I am an old soul trapped in a young woman’s body!) I have always had a desire to explore textiles more (which is one of the reasons why I started sewing and dyeing silk ribbons) so signing up for a 3-day weaving workshop while on holiday felt like the perfect opportunity! Liza Fourré started Art Workshops in Guatemala, 20+ years ago – long before community-based tourism was cool and trendy. 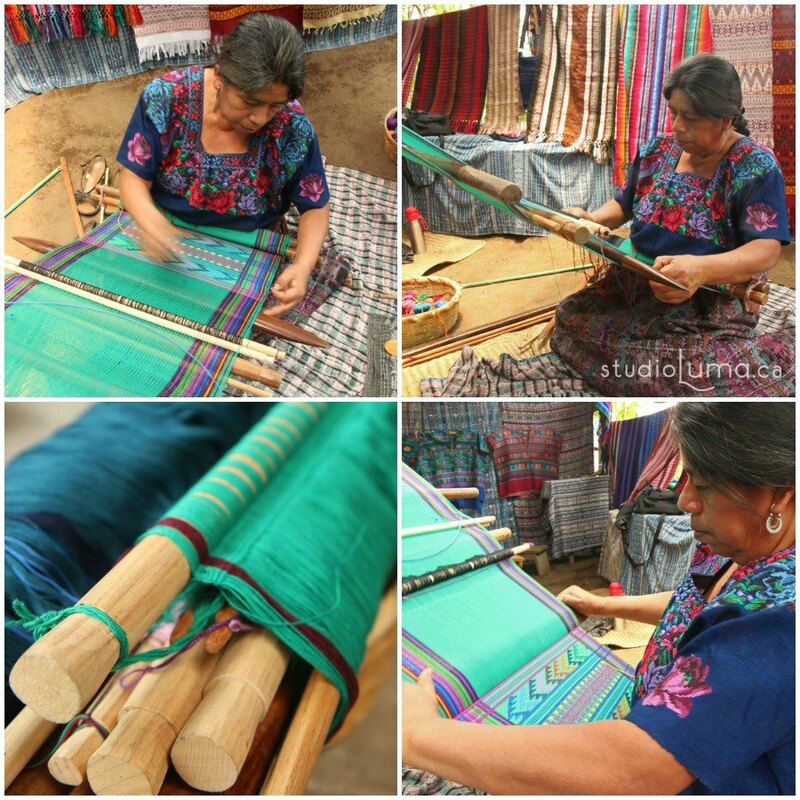 Over the years, she has developed a wonderful network of local artisans who passionately share their skills, techniques, and traditions. The wonderful thing about doing this workshop through Liza’s organization is that we are helping to support the women who are teaching us! Liza organized a 3-day workshop for me and Lumita with Elda Lidia Tarton de Santos. Lidia has many years of experience teaching visitors backstrap weaving, opening up her home (and her family) to international weaving students. What a gloriously wonderful experience! Lidia and her family opened up their home to us for the 3 days. With guidance from Lidia, her sister Odilia, and Lidia’s daughters Sindy and Jacqui, Lumita and I helped to prepare the loom and then learned how to weave and even add in some simple (and colourful!) designs. And Lumita did so wonderfully! I’ll be honest, I totally expected her to get bored and give up after a short time (she has a history of that…). Lumita charmed her way into our teachers’ hearts, just as they have into our’s! They were so patient and helpful with her, especially when she would say “Yo quiero hacer” (“I want to do it”). This has been such a positive experience for her that she is already talking about doing more weaving once we are back in Peterborough! I am thrilled with all that we did in the 3-day workshop! Not bad for a couple of backstrap weaving newbies! At the end of the 3 days, we headed off with our semi-completed projects and EVERYTHING that we would need to continue our projects at home (the loom with all of its accessories, the cotton thread, and hopefully enough knowledge to finish up!). 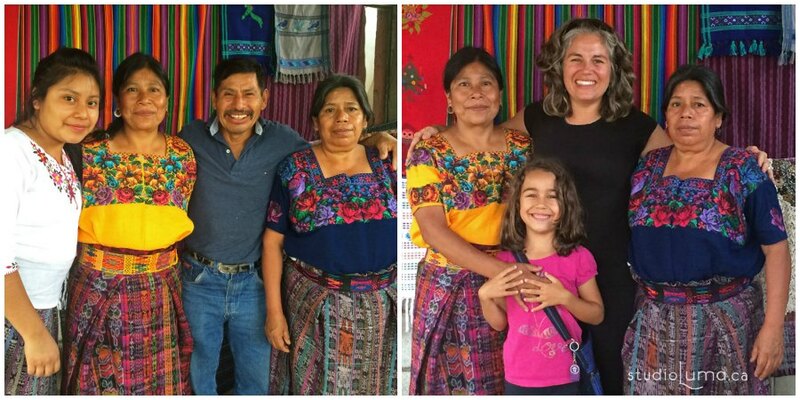 In the left photo is Lidia’s daughter Jacqui (unfortunately, her other daughter Sindy was out when we took this photograph), the kind and generous Lidia, Lidia’s gloriously friendly husband Pancho, and Lidia’s equally kind and generous sister Odilia. Muchas gracias por todo, Lidia y todo su familia. Espero de regresar pronto para apprendir y compartir mas. Abrazos de nostros! 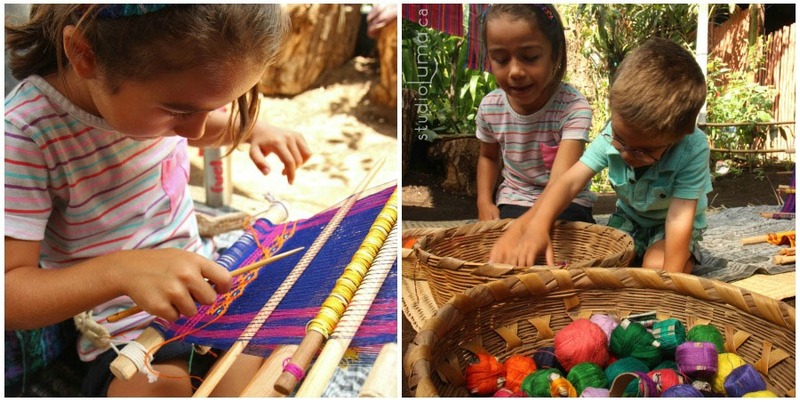 This entry was posted in Living the Life and tagged art workshops in Guatemala, backstrap weaving workshop, weaving in Antigua, weaving in Guatemala, weaving workshop, weaving workshop in Antigua, weaving workshop in Guatemala. Bookmark the permalink.